I wrote earlier in my “Cool things of 2010” post about our love of the game Settlers of Catan. Well, that love grows with our newest addition. It’s one of the gazillion expansion packs available: Seafarers. Unfortunately, we haven’t had a chance to try it out yet – we need at least three players. Hello…anyone? With the handful of sunny Seattle days we have experienced, and the handful to come – Scrabble has become my summer must-have. I’ve busted out my travel version numerous times and have found it to be an excellent way to spend time outside in the nice weather with friends – and a game virtually anyone can play. Fortunately, we have a pretty nice rooftop deck, making it a perfect place to nerd it up! Who’s in??? We had a total of 8 of us at the house, and that’s alot because our place isn’t that big. We created a major seafood feast for dinner. It was awesome! We had Dungeness crab, Alaskan King crab legs, fried oysters, shrimp cocktail, and steamed clams with bread for dipping. It seriously was so delicious, and everyone was satisfied and stuffed. And that doesn’t include the yummy banana creme delight dessert. After dinner, we pretty much just played games all night long. And those that know me, know that I LOVE GAMES!!! We played Scattegories, a new game called “This or That” and hours and hours of a card game called Mafia. It’s too hard to explain, but it was so much fun. We all stayed up into the wee hours playing games. Very fun – I love spending nights playing games with friends. So, Tera (hoping for it to be a surprise) had ordered three live Maine lobsters and they were (supposed to be) delivered to the house. But with the massive snowfall, those deliveries were all delayed. The idea was to eat them on Christmas Eve, but instead – FedEx called on Christmas Day and said if we wanted, we could come pick up the package ourselves at the local distribution center (about 5 miles from our house). Tera (with her huge truck) and I went to go pick up the precious cargo. Fortunately, the lobsters were still alive – because apparently, if they are dead and you cook and eat them – well, that’s not good. This is the part where some people might find it cruel and unusual punishment to put alive lobsters into boiling hot water – which essentially kills and cooks them. Ian and Jonah did all the dirty work – but all of us were quite interested in these live lobsters. During Christmas Day, we were once again stuck at the house. So what do we do? We play more games!!! And we feast!!! Ian and Jonah decided to be adventurous and made lobster bisque. Yeah, just looked up a recipe and made it – starting with homemade lobster stock (from the shells). And Christine made homemade chili and katsu chicken and pork (Japanese dishes). So yummy!! Rory and Jessica (and Riley) joined us for dinner that night, and joined in on more Mafia playing. It was great. Another super delicious dinner with friends, and more game playing. Doesn’t get too much better than that! We were finally able to drive Mike, Ty, et. al back to their apartment in Kirkland on Friday afternoon. I’m sure they appreciated being able to shower and wear a change of clothes! Tera, Micah, and I – we were going to go see a movie that day – but the snow started up again, and we opted to postpone for Saturday. Instead, we watched The Dark Knight on DVD (Tera hadn’t seen yet) and then got ready for a potluck that night at our friend, Adrian’s condo. At his place, we ate, played games (cards and Rock Band), and just hung out. I drank, for the first time, a hot buttered rum – yummy! Saturday we were able to finally go watch a movie. We went and watched The Curious Case of Benjamin Button. We all agreed – good movie, but extremely long!!! It felt a little Forrest Gumpish in the way the story was told. But we also acknowledged that the movie was 3 hours long, b/c it had to be that long….otherwise, we would have missed alot of depth in the storyline. 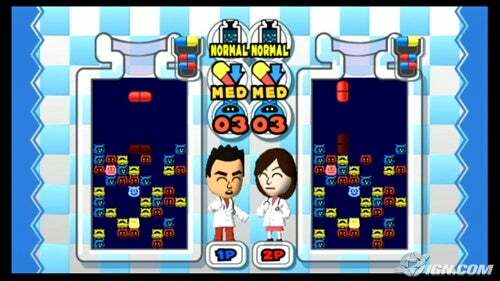 Following the movie, we were all tired and just went back to our house and played lots of Dr. Mario on the Nintendo Wii – I’m talking LOTS of playing – until 3 in the morning actually. We love that game!